At this year's GTI Meeting at Worthersee, Volkswagen unveiled the VW Golf GTI TCR Concept. This concept's production version will arrive later this year as the seventh-gen VW Golf’s final hurrah. The VW Golf GTI TCR Concept has unique exterior styling. The VW Golf GTI TCR Concept will evolve into a production model later this year. At the front, it has a new bumper featuring high-shine black applications on the side intakes and a sharply contoured splitter. On the sides, there’s a newly designed panel attachment that continues to the rear, “TCR” lettering (optionally with an additional decoration in the signature GTI honeycomb design) above the sills and 18-inch Belvedere forged wheels (19-inch alloy wheels optionally). At the rear, the near-production concept has a diffuser and a newly developed roof spoiler. The VW Golf GTI TCR Concept has a special interior as well. Opening the front doors, the TCR logo is projected on the ground and the stainless steel door sills are illuminated in red colour. The premium sport seats’ covers have red centre sections and red stitching. The steering wheel, in addition to red stitching, has a red 12 o’clock stripe. 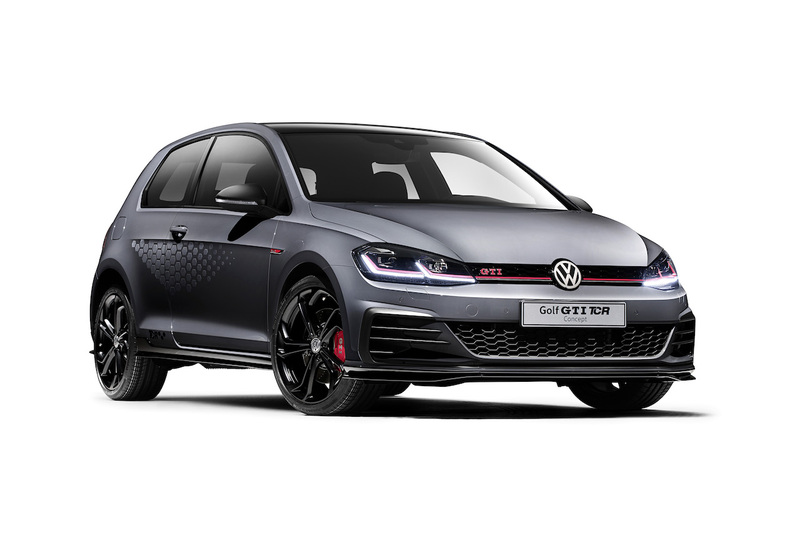 The VW Golf GTI TCR Concept sports the 2.0-litre TSI turbocharged engine that delivers 290 PS at 5,000-6,800 rpm and 370 Nm of torque from 1,600-4,300 rpm. The standard 7-speed DSG dual-clutch transmission and a locking differential transmit power to the front wheels. The car’s top speed is 250 km/h, but removing the electronic Vmax limiter increases it to 264 km/h. Perforated brake discs together with special brake callipers and pads provide the stopping power. Like the VW Golf R, the VW Golf GTI TCR Concept features two extra radiators in the front, so that there’s sufficient cooling for the engine. Its stainless steel exhaust system and end pipes are also tuned for higher performance. 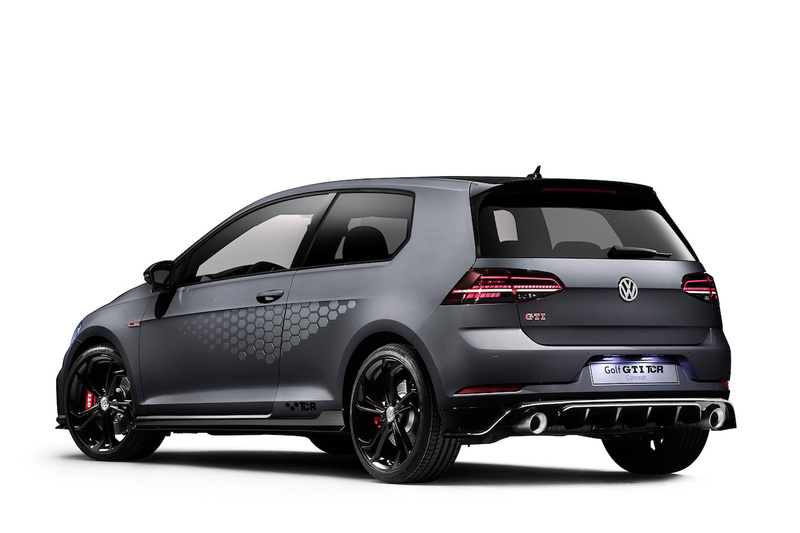 In the production VW Golf GTI TCR, customers will have the option to go for a titanium exhaust system from Akrapovic, something exclusive to the VW Golf R AWD currently. Also, Volkswagen will offer a package that will include Vmax removal and a 20-mm lower body with sports chassis and Dynamic Chassis Control. Volkswagen will offer VW Golf GTI TCR customers an option to increase the top speed to 264 km/h. The production VW Golf GTI TCR will hit the European markets at the end of 2018. Volkswagen plans to launch it in other regions as well.